Visit Okinawa Churaumi Aquarium and 11 more incredible sightseeing destinations on the island all with one pass! The pick up location is a bit far from international arrival hall coz it’s in the domestic arrival hall, but the staff at the counter are nice and effective. The pass is definitely worthwhile when you travel around in Okinawa. Going sightseeing in Okinawa has never been easier or more convenient! 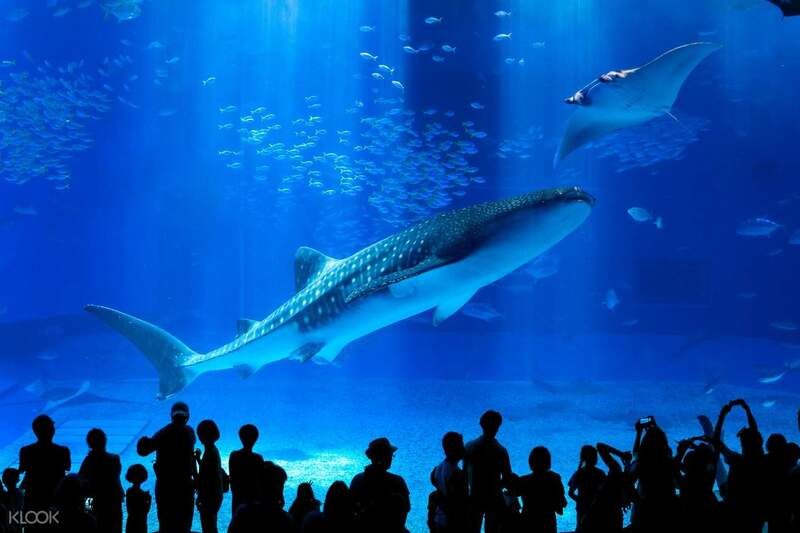 Pick up an Okinawa Main Island Enjoy Pass and head out to see 12 of Okinawa’s most famous attractions, including the world famous Okinawa Churaumi Aquarium - home to one of the largest aquarium tanks in the world. The pass gives you great savings, as opposed to paying the fees separately at each destination in full. The pass is valid for up to five days after you receive it so you can thoroughly enjoy each different attraction as you see fit. See the aquarium Dai Sekirinzan Park, Kouri Ocean Tower, Ryuguji butterfly garden, Nago Pineapple Park, Okinawa Fruits Land and so much more! 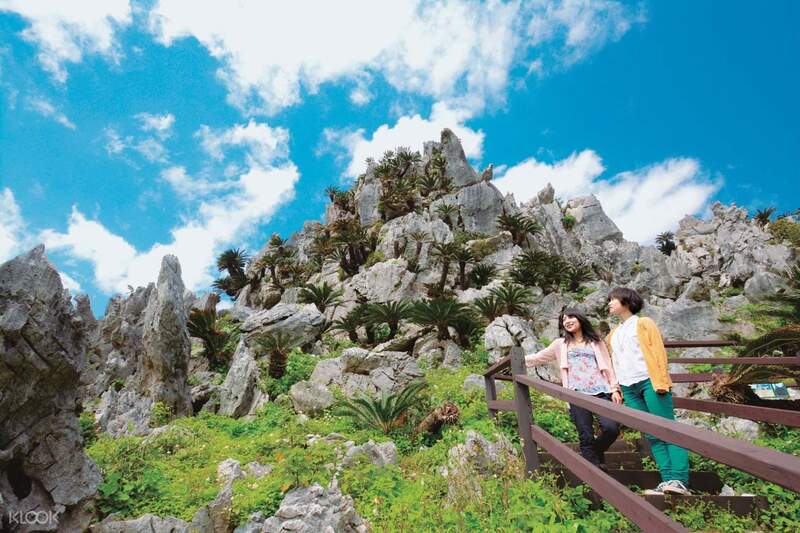 If you only plan on visiting a few attractions among the selection, you can opt for a Mini Churaumi Enjoy pass, that gives you a choice of 4 attractions out the 11 to see and enjoy during your days in Okinawa. Convenient, hassle free, and great value for all the fun you’ll enjoy in the island! Have fun with the kids at Nago Pineapple Land! simple and easy to book and retrieve. JTB office in Okinawa is at domestic terminal, just use the overhead walkway able to reach. staff speaks English. Good value if you have vehicle to go places. most sights are done within 2 hours, and after major ones you've already got your money back. simple and easy to book and retrieve. JTB office in Okinawa is at domestic terminal, just use the overhead walkway able to reach. staff speaks English. Good value if you have vehicle to go places. most sights are done within 2 hours, and after major ones you've already got your money back. Easy to use, just go Okinawa airport terminal one to exchange tickets. Suggest not to tear off the ticket yourself as staff of each park will check the full tickets. Easy to use, just go Okinawa airport terminal one to exchange tickets. Suggest not to tear off the ticket yourself as staff of each park will check the full tickets. Went to Okinawa Aquarium, pineapple park, RyuKyu Mura. Places are very interesting and fun, especially the aquarium. 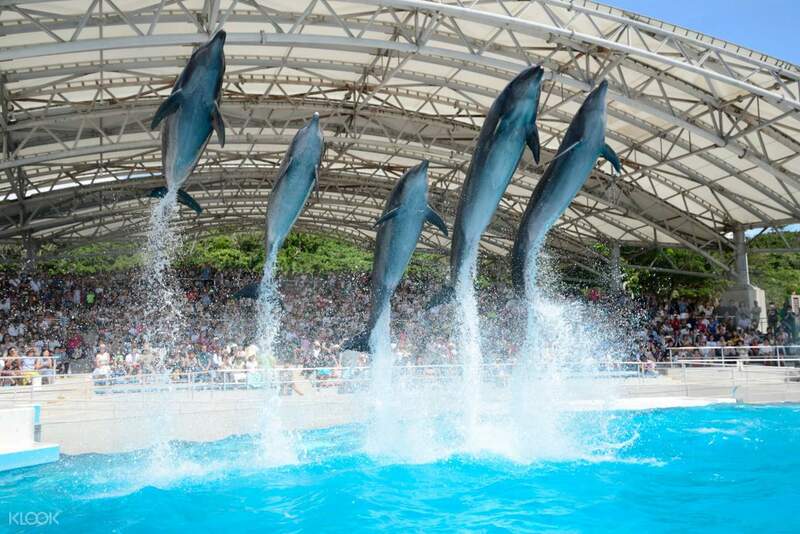 You can see dolphins show at the ocean expo park for free. Other places are interesting to go and experience the different okinawa culture and tradition. Advise to drive at okinawa, as the roads are easy to follow and convenient to move around. 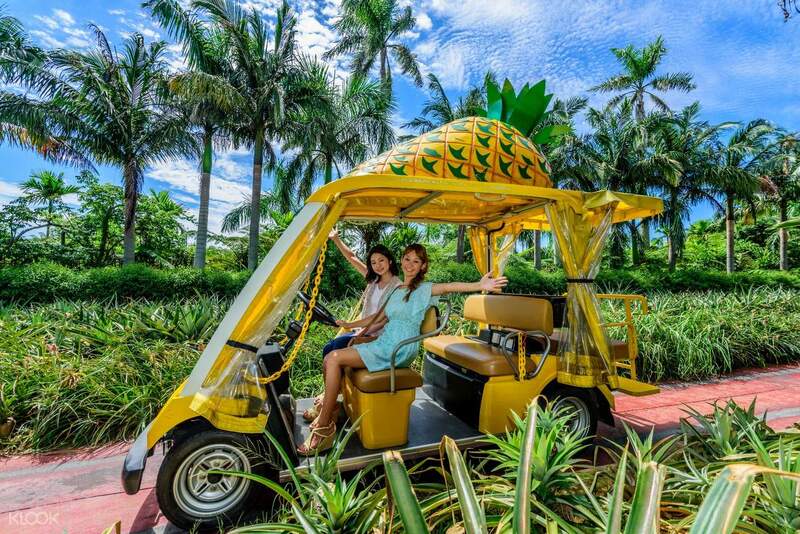 Must go the pineapple park, and take their automated buggy system and complementary tram service to view the big pineapple farm. Went to Okinawa Aquarium, pineapple park, RyuKyu Mura. Places are very interesting and fun, especially the aquarium. You can see dolphins show at the ocean expo park for free. Other places are interesting to go and experience the different okinawa culture and tradition. Advise to drive at okinawa, as the roads are easy to follow and convenient to move around. Must go the pineapple park, and take their automated buggy system and complementary tram service to view the big pineapple farm. remember to go early in term of watch the dolphins show. worth to visit in japan! remember to go early in term of watch the dolphins show. worth to visit in japan! Worth buying as it covers lots of attractions in Okinawa such as Churaumi Aquarium, Kaori Tower and Okinawa World. But had to walk a bit to the domestic terminal to redeem the voucher and the office only open at 9 am. Worth buying as it covers lots of attractions in Okinawa such as Churaumi Aquarium, Kaori Tower and Okinawa World. But had to walk a bit to the domestic terminal to redeem the voucher and the office only open at 9 am. The pick up location is a bit far from international arrival hall coz it’s in the domestic arrival hall, but the staff at the counter are nice and effective. The pass is definitely worthwhile when you travel around in Okinawa. The pick up location is a bit far from international arrival hall coz it’s in the domestic arrival hall, but the staff at the counter are nice and effective. The pass is definitely worthwhile when you travel around in Okinawa. You can get a great discount in Klook. East to redeem at airport. You can get a great discount in Klook. East to redeem at airport. Went to the Aquarium, Ryukyu Mura, Bios no Oka, Okinawa World (do check show timing if you want to catch it, we didn't manage to) and Kouri Tower. All attractions were enjoyable but find Ryukyu Mura not really worth visiting. Voucher pickup was at domestic terminal which is some walk from the international terminal. Passport was needed to exchange for voucher. Went to the Aquarium, Ryukyu Mura, Bios no Oka, Okinawa World (do check show timing if you want to catch it, we didn't manage to) and Kouri Tower. 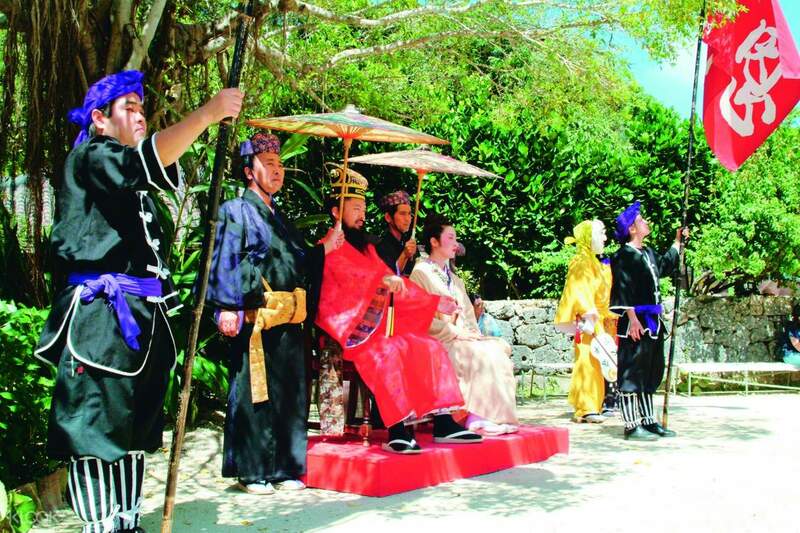 All attractions were enjoyable but find Ryukyu Mura not really worth visiting. Voucher pickup was at domestic terminal which is some walk from the international terminal. Passport was needed to exchange for voucher. A must buy if you're going to Okinawa, as this pass pretty much covers all the attractions that are available. Quite a few repetition of attraction type though, so if you are on a tight timeline or want to save on fuel, strategise on which attractions to go. A must buy if you're going to Okinawa, as this pass pretty much covers all the attractions that are available. Quite a few repetition of attraction type though, so if you are on a tight timeline or want to save on fuel, strategise on which attractions to go. Fuss-free order, collection at Naha Airport. No problem finding our way to collect tickets. Unless you arrive very early in the morning, it is very convenient to get all the pass. The main advantage of the pass is you can choose any attractions within the package and arrange your route and itinerary accordingly. One thing to note: DO NOT TEAR THE COUPONS otherwise it is not valid. Keep all the coupons intact at checking in at all attractions. Fuss-free order, collection at Naha Airport. No problem finding our way to collect tickets. Unless you arrive very early in the morning, it is very convenient to get all the pass. The main advantage of the pass is you can choose any attractions within the package and arrange your route and itinerary accordingly. One thing to note: DO NOT TEAR THE COUPONS otherwise it is not valid. Keep all the coupons intact at checking in at all attractions.